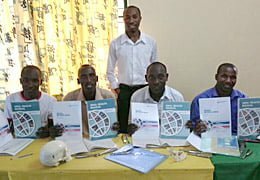 We deliver our own training in the UK and support as best we can people and organisations that are delivering training themselves in low resources settings. 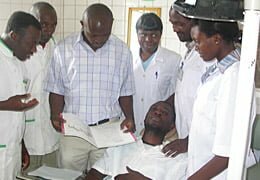 Our training in the UK is through running regular oral health awareness sessions based around the Teeth Relief Manual for nurses and doctors studying Diploma courses in Tropical Nursing and Tropical Medicine at the London School of Hygiene and Tropical Medicine LSHTM. We already support people and organisations who are delivering training themselves in low resources settings through our teaching material and advising where we can, and would be pleased to help others in this way.